Baby Piggy Care. Games online. 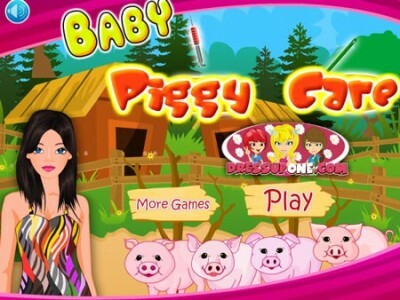 Sarah’s family has expanded the farm and now you have to take care of the little piggies. To take care of little piggies is almost like taking care of horses apart maybe from the showers. Help Sarah take good care of the little pigs.